Happy last day of November! You'd never know it was almost December here in Florida. We've finally been getting some cooler temperatures but we're still consistently in the upper 70's during the day so nothing I'd consider "fall/winter"weather. We did have some gorgeous weather over the weekend though so I spent as much time as possible enjoying it. With that being said, let's jump into my weekend recap with the lovely Biana but first I want to announce the winner from my 2 year blogiversary giveaway! Thank you to everyone who participated and entered, you guys are amazing, but there can only be one winner and that is.... KATE STEADMAN! Kate, I sent you an email so be on the look out! I guess technically our weekend started on Wednesday last week... I worked in one of our stores on Wednesday so I was exhausted by the time I got off. I walked 5.22 miles in 6 hours just running back and forth in our store so I came home, put on my pajamas, made dinner and had a glass of wine. Nothing exciting but it was nice to just relax after such a crazy day. Thursday morning I woke up bright and early at 6 am to begin working on the Thanksgiving feast. I've hosted Thanksgiving before but usually it's just been a casual thing for friends. We decided to smoke the turkey which generally takes longer than cooking it in the oven but it turns out oh so delicious. 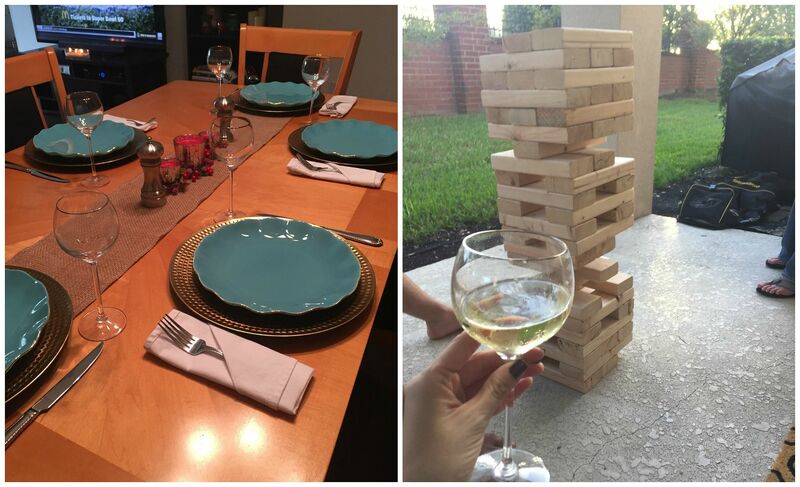 I totally failed on taking other pictures of the food... or of most anything since I was cooking all day but dinner turned out amazing and all was a success and after eating we decided to enjoy the lovely weather so we played Giant Jenga for a bit. Friday was time to "deck the halls" with Christmas decor so we put up our tree and Christmas decorations in the morning before heading out to the corn maze with Kerri. This is becoming some what of a tradition for us every year which is fun so I'm ok with it ;) The corn maze seemed more overgrown this year than last year but we still manged to find our way out of every exit in less than an hour. After the corn maze we headed to Chili's and sat at "our" table for dinner before heading over to St. Andrew's Pub for some darts. Lady Luck wasn't on our side this year as Kerri and I only won one game against the boys but we only lost by one every time so at least we were in it. Saturday (wow, I can't believe it's only Saturday... I feel like I've been writing forever!) 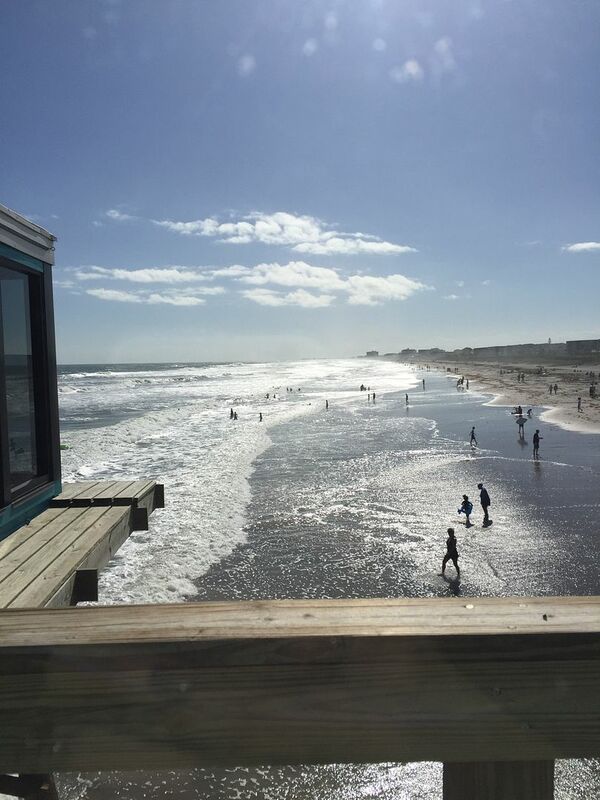 I woke up and did some blogging before heading over to Cocoa Beach to meet up with some friends from out of town. We spent the day enjoying the warm weather at the beach before heading home for dinner and more fun with Kerri at a cute little local spot called Guest House. Sunday was for relaxing. It was a long (but amazing) weekend so it was nice to unwind a bit Sunday and just lay around watching football. I didn't do a bit of Black Friday shopping or Christmas shopping in general this weekend but I probably should start on that soon! Did any one get any awesome deals this weekend? Sounds like a wonderful weekend! 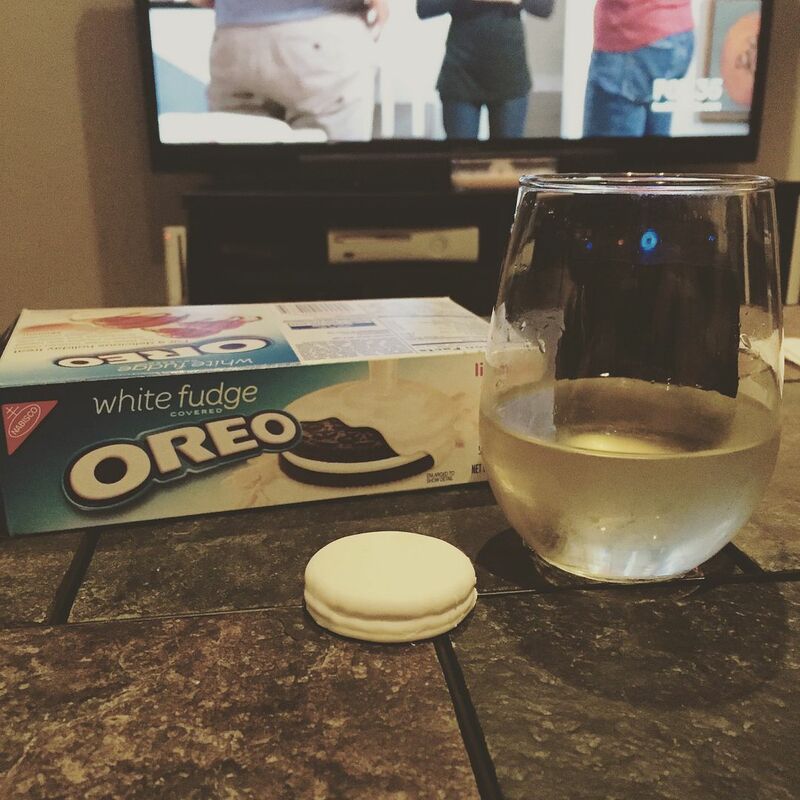 White Chocolate Oreos...um yes! Sounds like a fabulous Thanksgiving, cheers to you for cooking and hosting. The turkey sounds delicious! I'm a huge fan of corn mazes, fun you were able to do one so late in the year. Hope you have a great MONDAY! I was off since Tuesday afternoon so it really is rough to get back to work today, the holiday seems like forever ago. I am definitely happy to be home and no more driving! 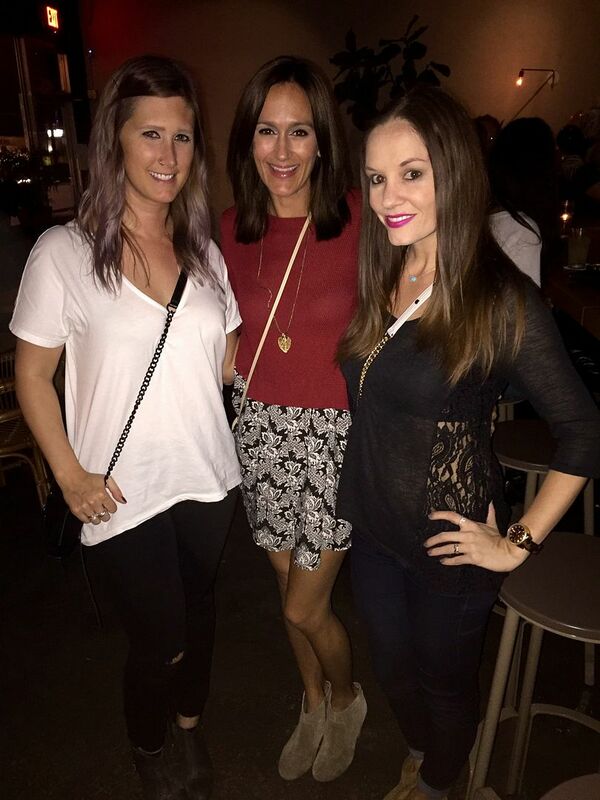 Looks like you and Kerri had a fab weekend. Loved catching up with all your snaps over the time! Sounds like a great break! I’ve never been to an actual corn maize, but it sounds so fun! Perfect, perfect weekend!! Smoked turkey is SO delish!! And I love that you go to the corn maze the day after thanksgiving! So glad you had a fun, relaxing weekend!! I LOVE going to the corn maze--it's always so much fun! How awesome that you hosted Thanksgiving! I'm not brave enough to take that on! Glad you enjoyed your holiday break! ah so much fun hanging out w/ you a little more! we are corn maze MASTERS for sure haha. 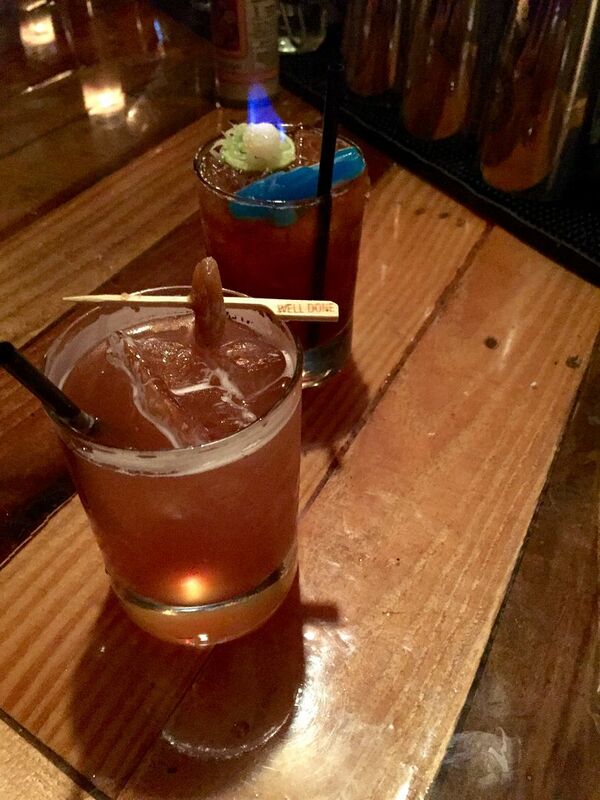 and i still love that drink that was on fire! 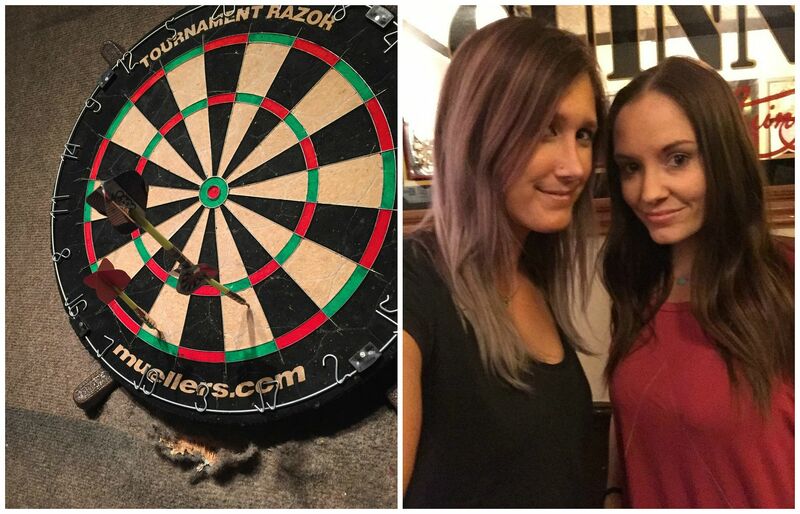 we at least put up an awesome fight with darts. bc we rock :) it's the hop for sure haha. happy monday! Smoked turkey must be delicious. I think you enjoyed very much in Thanksgiving day! Omg your smoked turkey looks amazing yum! Yay for the holidays in full swing! I can't wait to put up my Christmas tree this week! We got home late last night and I stayed up late getting some of the Christmas decorations out because I couldn't wait! Haha! I would be so nervous to host Thanksgiving, my Mom still does it and I'm so thankful for that! I love white chocolate covered oreos - they are seriously my favorite! White Fudge Oreo... omg! Yum! Glad you had a great weekend! It looks like you had a wonderful long weekend! Your turkey looks amazing! Looks like the perfect weekend! And those white fudge Oreos - Stephen bought some a couple of weeks ago and then left them at my house. I managed to eat most of the box by myself! Can't buy them anymore. Happy Monday! Looks like it was a wonderful weekend. Those oreos look so good. Long weekends are the best! I'm impressed that you host Thanksgiving... I'm so not looking forward to the day when it's my turn to do that. Thanks for hosting the giveaway! 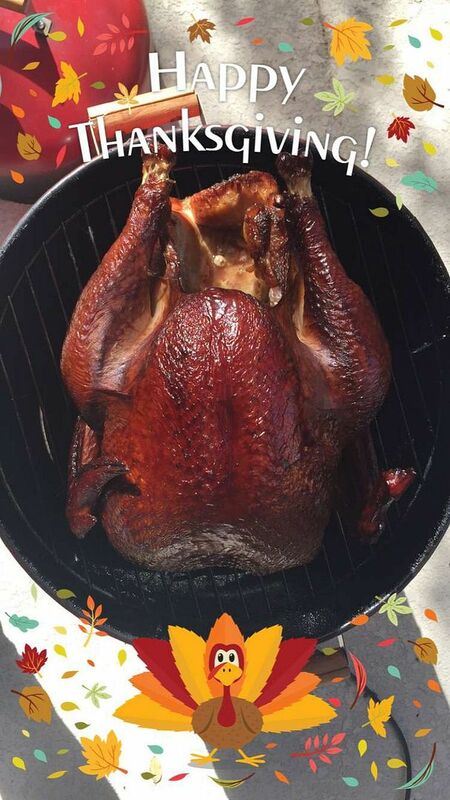 Smoking a turkey is seriously SOOOO delish! We do that every couple of years. I about died Saturday when I saw your snap of Cocoa Beach - I'm so jealous of your warm weather and beach days in November! :) I'm glad that you had a nice Thanksgiving, and um, hello white chocolate covered Oreos! I need to find those stat. OMG those Oreos! I saw some at the store the other day and forgot to buy them, but definitely grabbed a box of chocolate chip cookies lol. Looks like a great weekend! I would be terrible in a corn maze, I get lost every time I go shopping at the outlets - I just don't do well with directions at a small scale. What a fun thanksgiving! The weather was totally gorgeous and I soaked it all up! wow, good for you for not doing any shopping! i did way too much and now i need to be good and not buy anything for like a month, lol. now, give me those white fudge oreos. YUM. congrats on dinner being a success! As i also told Kerri, would you believe I've never been to a corn maze? It sounds so fun. Love your top from Sat night. Guest House also sounds awesome. Will have to check it out. Your turkey looks awesome!!! A corn maze sounds fun, never been before. I scored some Dolce Vita booties for $35 at Nordstrom Rack on Friday!!!! That was my major happy. Hope you have a great week! Congrats to the winner of the giveaway! It sounds like you had an amazing Thanksgiving weekend. I've never had smoked turkey before, but it sounds delicious! 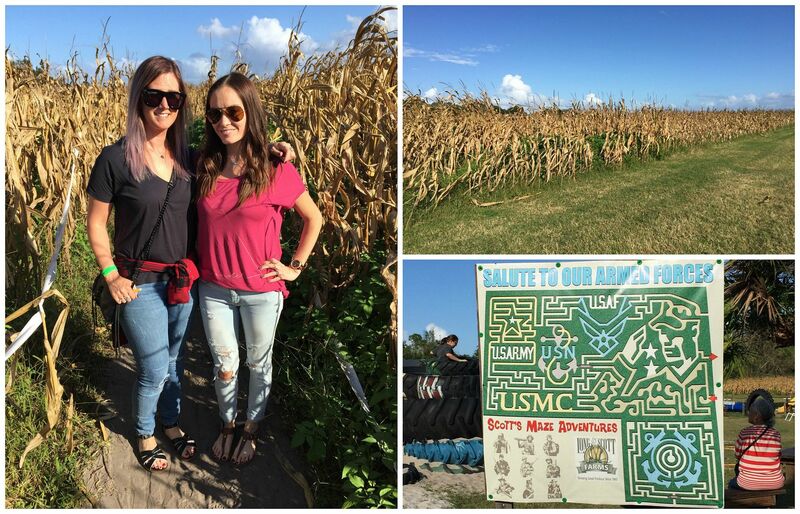 I saw that Kerri posted about the corn maze, and that looks like so much fun! I've never done one before, but it sounds like the perfect fall activity! AWWW so glad I ran into you!!! Those white fudge oreos look amazing, as does your turkey! I've always wanted to do a corn maze-it looks so fun! I need to move to Florida so my Thanksgiving weekends can include the beach, lol! Also need to try those Oreo's because YUM and your smoked turkey sounds delish! So glad you had a great Thanksgiving! That giant Jenga is AWESOME! I wanna play! You and Kerry are so darn cute together. I want to Photoshop myself into your pictures. Sounds like you had a great weekend and Turkey day! I still can't believe tomorrow is December.. bring on winter! That turkey looks delicious! So glad your Thanksgiving turned out well... I'm sure everything was great! You Floridians are living the life! I'm constantly jealous of your beach trips! Sounds like such a great Thanksgiving - you always know it was a success and extra fun when you don't have time to take too many photos!